As the premiere of Black Panther approaches, fans are starting to see just how big of a role music is going to play in this movie. It’s no surprise that director of the film, Ryan Coogler, would hand-pick Kendrick Lamar and Top Dawg Entertainment to oversee the soundtrack for the Marvel feature film. 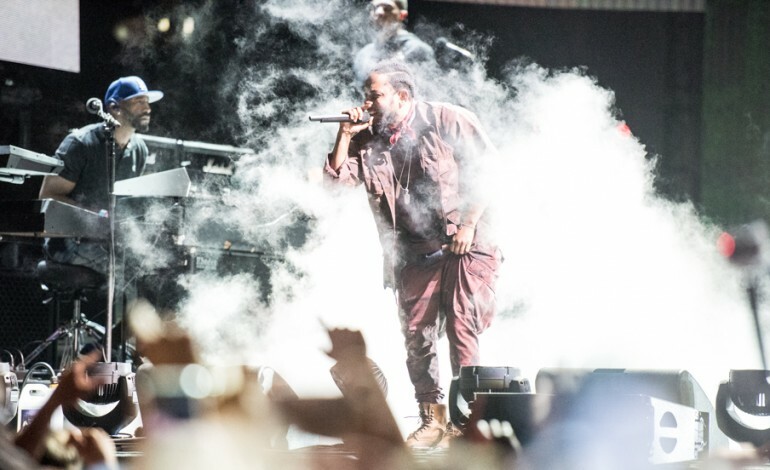 Kendrick Lamar’s natural cinematic flair and the socio-political narratives in his albums make him an obvious pairing for the franchise. Earlier this month, Lamar revealed the first track from Black Panther: The Album, titled “All the Stars,” featuring his label companion SZA. Now, Lamar has teamed up with Future and James Blake to record Jay Rock’s most recently released song off the Black Panther soundtrack, “Kings Dead,” produced by Mike WiLL Made-It. The track was premiered yesterday on the iHeartRadio morning show, The Breakfast Club. The song starts off featuring a trap beat under Kendrick and Future trading bars, with Lamar providing the hook. Jay Rock raps double time over the heavy beat on the first verse, while Future raps like Future but in a hilariously high pitch, right before the songs hits a ‘60s psychedelics-inspired chord and switches the beat a couple of minutes in. The second part of the song features Lamar spitting the same type of fast-paced bars delivered by Rock at the top of the song. Black Panther: The Album is set to be released February 9. Check out “Kings Dead” below.